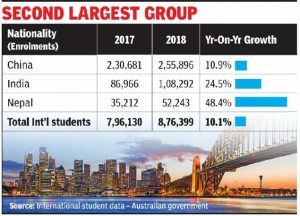 MUMBAI: More than one lakh students from India enrolled in Australian educational institutions during 2008, constituting 12.4 per cent over the previous calendar year. China continued to lead with 2.56 lakh students (or 29 percent of the total). 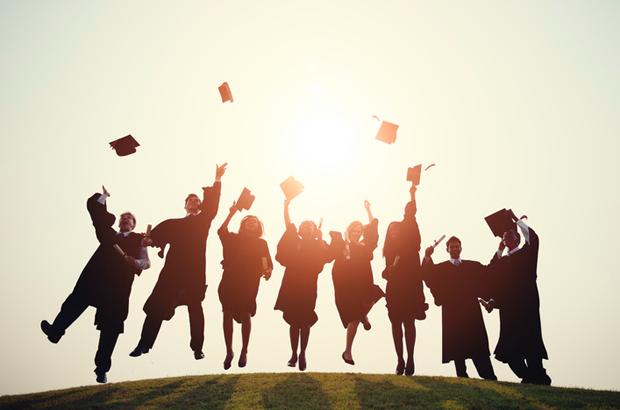 Australia has announced an ‘Additional temporary Graduate’ visa with an extra year of post-study work rights for international students who graduate from the regional campus of a registered university. At present, students who study at the bachelor’s or master’s degree level in Australia (usually 2 or 3 years) get a two-year post-study work visa. By offering students an extra year in Australia on a post-study work visa if they study in regional areas, the country aims to kill two birds with one stone. The ‘additional temporary graduate’ visa by Australia to the international students will help in its overall plan to decongest popular areas of Sydney, Melbourne, Perth, Brisbane and the Gold Coast. It will also help attract more international students. As students need to graduate from a regional campus and then spend at least two years residing in a regional area to qualify, the ‘Additional Temporary Graduate’ visa will be available to the first eligible cohort of graduates from 2021, states a recent release from Australia’s department of home affairs. For those students who are currently holding the Temporary Graduate (sub class 485) visa, which is the existing post-study work visa, ongoing residence in a regional area could qualify them for an additional year. In a separate release dated March 20, Pm Scott Morrison announced new tertiary scholarships to attract Australian and international students to study in regional Australia. Worth Australian $15,000, these scholarships will be available to more than 1,000 local and international students each year. 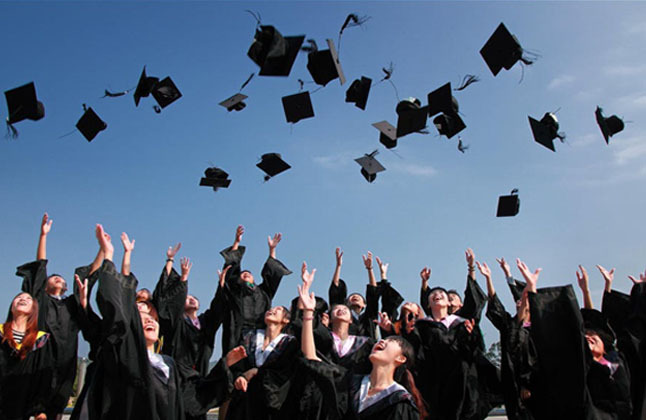 Zahirah Ismail, Perth-based managing directior at the immigration service company Home of Visas, told TOI:” An additional year for graduates shows that policy-makers are acknowledging the difficulties faced by students as they attempt to gain relevant work experience. In several occupations, in order for an applicant to gain positive skills assessment, they are required to demonstrate at least three years of relevant work experience post their qualification. “she recommends that international students should look at employment prospects for each territory and best match this data against occupation lists for migration purposes. Andrew Everett, deputy vice-chancellor and vice president, global strategy, at Charles darwin University, said:”CDU is examining how best to provide for international students who might qualify for an Additional temporary Graduate visa.” Spread over various campuses, including regional campuses, 10% of CDU’s 20,000 students are of foreign origin, the majority of them from India, Nepal, Bangladesh and China. Several students also want to put down roots and work long term in the host country. In this context, Cyrus Mistry, director at EasyMigrate Consultancy Services, “Introduction of new Regional (Provisional) Visas, which provide an option of conversion to permanent residency after a tenure of three years, could also be attractive to international students, provided they are willing to settle in regional areas”. The new skilled regional provisional visas will be for skilled migrants, and dependent family members, who want to live and work in Australia. Holders of the new skilled regional provisional visas will need to live and work in regional Australia. Visas will be granted with a validity period of up to five years. Holders of the new skilled regional provisional visas will be able to apply for a Permanent Residence visa. The Permanent Residence (Skilled Regional) Visa will commence in November 2022. Importantly, to be eligible for permanent residence, holders of the new skilled regional provisional visas will need to demonstrate they have lived and worked in regional Australia while holding one of the new Skilled Regional Provisional visas. Regional employers will have access to additional regional occupations to sponsor migrants and priority processing of regional visa applications. There will also be additional points for certain points-tested migrants who are sponsored to settle in regional Australia. Employers in regional Australia, as well as State and Territory governments, who sponsor regional skilled migrants, will have access to more occupations than equivalent non-regional visas. Based on current occupation lists, the Skilled Employer Sponsored Regional (Provisional) visa will have access to over 450 more occupations than closest non-regional equivalent visa, and the Skilled Work Regional (Provisional) visa will have access to over 70 more occupations than the closest non-regional equivalent visa. Priority processing arrangements will be expanded to include all visa applications sponsored by regional employers as well as other visa applicants who will live and work in regional Australia. Five additional points for regional nomination or sponsorship provide an extra incentive for potential migrants to consider settling in regional Australia. The definition of regional Australia for this purpose will be the same as the definition for skilled migration – all of Australia except Sydney, Melbourne, Perth, Brisbane, and the Gold Coast. Existing Temporary Graduate visa holders may be eligible, provided they can meet these requirements. International students who want to work in Canada following their studies at a Canadian institution will have more time to apply for the country’s popular Post-Graduation Work Permit (PGWP). The PGWP allows international students who have completed a program of at least eight months’ duration to stay on to work in Canada for up to three years, exan perience that can count towards a future application for permanent residency in the country. Under changes to the program announced on 14 February, where students used to have only 90 days to apply for a PGWP following the completion of their program, they now have twice that amount of time – six months (180 days) – to apply. The 180-day period begins when students’ final marks have been issued or when they receive a formal written notification of their program completion. Students may apply for a PGWP from their home country, meaning that they may return home for up to six months after finishing their program without jeopardizing their chances of obtaining a work permit for employment in Canada. The PGWP is an important component of the Canadian government’s bid to attract talented international student graduates to bolster the country’s labor force. When international students in possession of these work permits gain employment experience in Canada, they also gain the ability to amass points that they can apply to their application to become Canadian immigrants. These points are considered in their application for permanent residency under the Canadian Experience Class, which is part of the Express Entry selection program administered by Immigration, Refugees, and Citizenship Canada (IRCC). A recent survey conducted by the Canadian Bureau for International Education (CBIE) revealed that 70% of Canada’s international students want to work in the country following their studies and that six in ten wanted to immigrate to Canada in the future. Canada is one of the five most popular study abroad destinations in the world, and the country’s post-study work rights and immigration policies are a significant driver of the country’s attractiveness among international students. The number of international students holding Canadian study permits (as of 31 December 2018) reached 572,415 in 2018, up from 492,545 the year before. This compares to the 690,468 foreign students in Australia as of November 2018, and the 458,490 EU and non-EU students in the UK during the 2017/18 academic year. The UK application registry UCAS has released new data from its 15 January admissions deadline for the 2019/20 academic year, and so we now have an early view of what enrolment trends may look like for the coming year. “On time” applications received by January 15 are viewed as an important indicator of current demand for British higher education, though students continue to apply after the deadline as well. Applications to British universities for 2019/20 are up overall, and this marks the first overall increase in three years. More than 561,400 applications were received by UCAS, nearly 2,500 more than at the same time last year. While the overall growth for this year is marginal, it is being led by a 9% increase in applications from students from outside the European Union. This was driven in large part by a surge from China (+33% over 2018). Looking at the broader pool of applications, there was a 1% decrease in the number of applications from students in the UK, and applications from countries in the EU were up slightly by 1%. 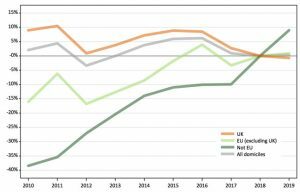 The healthy growth in non-EU applications and slight growth in EU applications was met with relief by university stakeholders in the UK. “In this time of uncertainty, it’s welcome news to see more EU and international students wanting to come and study in the UK,” said Claire Marchant, UCAS’s chief executive. Still, the fact that Chinese applications account for so much of the increase is worrying to some who make the point that there needs to be more diversity within the international student population in the UK. Trend data illustrates the extent to which the population of Chinese in UK higher education has grown over the past decade. In 2010, there 4,450 Chinese applications registered, while for the 2019/20 year there were 15,880 plus another 5,100 from Hong Kong. Needless to say, the same concern could be raised by many leading study destinations, including the US, Australia, and Canada. But in one interesting indication of the significance of China in British higher education enrolments, UCAS observes that there were more applications from China and Hong Kong this year (20,980 combined) than there were from Wales (18,850) or Northern Ireland (17,910). At last year’s 15 January deadline, there were 11% more applications from non-EU students than the previous year, marking the first time in five years that applications had gone up from non-EU students. Non-EU applications numbered 58,450 in 2018/19, while this year, there were 63,690 from students from outside the EU, which amounts to 9% year-over-year growth. Where applications from EU students had dipped in 2017/18, they rose to 43,501 (3.4%) in 2018/19. The latest UCAS data reveals that the growth trend is holding, though modestly so: EU applications grew 1% to 43,890. UCAS registered 453,840 applications from the UK this year, which represents a decrease of just under 1% compared to the applications received in January 2018. There were also significant increases from countries sending smaller numbers of students to UK universities. While these are more modest numbers, the extent of the growth is notable given the push for greater diversification of the international student population in the UK. The latest student data from Immigration, Refugees and Citizenship Canada (IRCC) describes another year of very strong growth in Canada’s international student enrolment. The number of abroad students studying in the country rose 16.25% last year, marking a third consecutive year of double-digit growth and an overall overseas education increased 73% in the five years since 2014. The number of international students holding Canadian study permits (as of 31 December) reached 572,415 in 2018, up from 492,545 the year before. This compares to the 690,468 foreign students in Australia as of November 2018, and the 458,490 EU and non-EU students in the UK during the 2017/18 academic year. The last time we took a close look at the enrolment composition of each country, the UK was the second-ranked study destination in the world (after only the US), followed by Australia in third, and Canada in fourth. 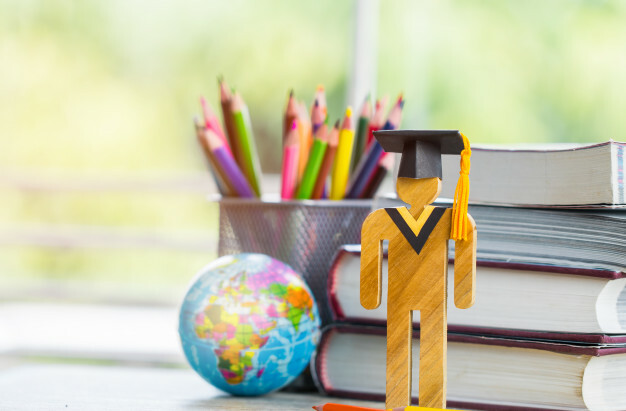 Based on the continued rapid growth of foreign student numbers in both Australia and Canada, it seems likely that there is further change afoot in that global table of leading study destinations. India continues to be a big story in Canada’s international education sector. The number of Indian students grew by another 40% in 2018, for the total overall growth of just under 350% since 2014. This amounts to more than 172,600 Indian students in Canada last year, a benchmark that means that India will now surpass China as the leading sending market for Canada. Chinese numbers rose 2% last year to reach just under 143,000. While they are showing contrasting trends in recent years – China is flattening out as India surges – the two countries together accounted for 55% of all visiting students in Canada. More broadly, the top 20 source markets, as reflected in the table below, sent nearly 86% of Canada’s foreign students in 2018. Aside from India, the fastest-growing markets for Canada in 2018 included Bangladesh (+53%), Iran (+48%), Vietnam (+46%), Colombia (+41%), Philippines (+29%), Kenya (+29%), and Brazil (+17%). In terms of the level of study, 13.5% of Canada’s international students were in secondary schools, 76.5% in post-secondary programmes, and 10% in “other studies”, including exchange programmes and language studies of six months’ duration or more. Indian parents want to send their children to study abroad. According to a new report, as many as 44 percents of parents in India are mulling to send their children abroad and most sought after destinations are the US, UK, and Australia. The research done by HSBC says that 52 percent opted to study in US as the destination followed by Australia with 46 percent and the UK is third with 44 percent. The other destination includes countries like Canada, Germany, Singapore New Zealand, Japan, Austria, and Switzerland. “There’s a clear appetite from parents in India to send their children overseas, whether that’s to gain international work experience or improve language skills in countries such as the UK, the US, and Australia,” HSBC India Head-Retail Banking and Wealth Management Ramakrishnan S said. 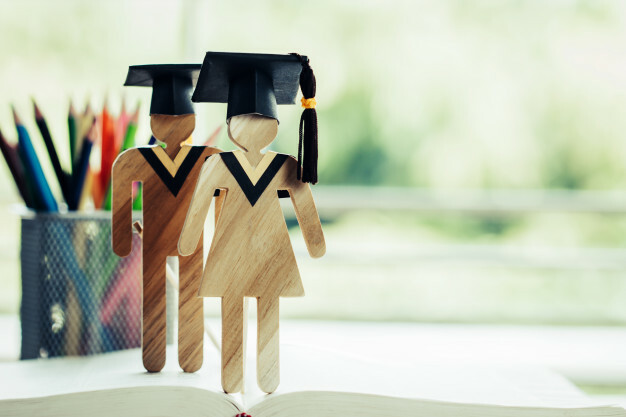 However, the massive financial burden is still the key concern for parents in India when it comes to sending their kids to study abroad as 42 percent of the respondents said the international education does incur massive financial cost on the family. Interestingly, the people living in the UK, the US and Australia also feel the same and 63 percent, 65 percent, and 64 percent parents of these countries share the sentiment with Indian parents. The views of 10, 478 parents and 1507 students in 15 countries participated in surveys. To attract more Indian students, New Zealand has taken several steps such as introducing a three-year, post-study work visa for international students, its envoy Joanna Kempkers said today. The New Zealand High Commissioner to India said her country attracts about 20,000 Indian students every year. “We are trying to get more Indian students in New Zealand universities. New Zealand has eight universities and there are also government-supported institutions,” she told PTI on the sidelines of ‘New Zealand – India Academic Conclave’ here. Kempkers also said that New Zealand focuses on more quality education that thousands of students are pursuing in the country. Asked about the steps being taken to encourage Indian students to study in New Zealand, Kempkers said that the government has just announced new three-year open post-study work visa for all international students studying undergraduate degrees, masters degrees, and Ph.D. study. Also, New Zealand is the second most peaceful country in the world, she said. According to a statement, the academic conclave builds upon a range of initiatives that are pushing New Zealand to the fore as the preferred international education destination for students, with a 15 percent increase in Indian students choosing to study in New Zealand universities. Delhi Deputy Chief Minister Manish Sisodia, who also participated in the conclave, sought collaborations with international academics to understand the dynamics of higher education and know about what needs to be done. 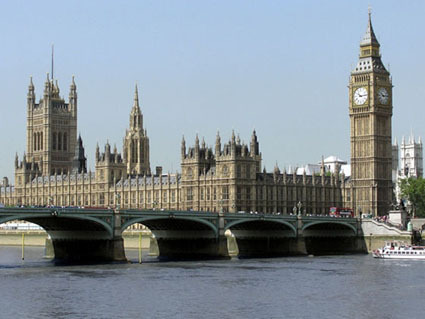 Home Office to extend scheme which streamlines process for international Masters students wanting to study in the UK. A pilot which is looking at streamlining the process for international Masters students wanting to study in the UK has been extended to an additional 23 universities, the Immigration Minister announced today. Currently in its 2nd year with the Universities of Oxford, Cambridge, Bath and Imperial College London, the pilot will streamline the process for international students looking to study on a Masters course of 13 months or less in the UK. Applicants that do not meet immigration rules will be refused. All students will continue to require Home Office security and identity checks. The additional 23 universities to benefit from the pilot include 2 in Scotland, 2 in Wales and 1 in Northern Ireland as well as universities from across England. I am delighted to announce the expansion of this pilot which is part of our ongoing activity to ensure that our world-leading institutions remain highly competitive. The UK continues to be the 2nd most popular destination for international students and the number coming to study at our universities has increased by 24% since 2010. This is a clear indication that genuine students are welcome and there is no limit on the number who can come to study in the UK. The 23 additional universities will be able to apply the pilot to their 2018/19 intake. The universities were selected as their visa refusal rates are consistently the lowest in their area or region. 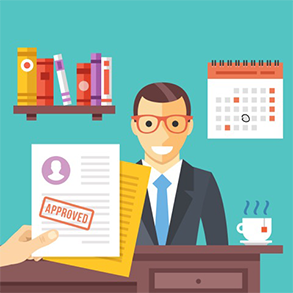 Your Visa Interviewer is going to judge your merit on your preparedness, ability to respond to their questions and your body language. Congratulations! You have secured interview calls from the Universities you have applied to and are now in the final stages of your application process. College interviews can be conducted by either the admissions board or an alumnus of the school, depending on the interview process of each school. Furthermore, they can take place on over the phone, via Skype, on campus or in select cities and last between 30 minutes to an hour. It’s imperative that you go through your whole application a few times prior to the interview, so that you are aware of what to say in the interview. Your answers to interview questions need to support the rest of your application and convey why you are the best fit. Meticulous preparation is the foundation of an effective interview. Review a comprehensive list of questions and write down answers or bullet points for each of the answers. Practice answering questions in front of a mirror, so that you can see what you look like, and be mindful of your body language and facial expressions. You do not, under any circumstances, want to be late to your interview. Showing up on time is a clear indicator of your ability to manage your time, and tardiness will be viewed negatively. 4] Reach your interview site at least 15 minutes early. Showing up early to the interview also gives you time to relax, compose and take stock on how you are visually presenting yourself. The general rule of thumb is that over dressing is better than under dressing. So when deciding on what to wear your default dress code should be formal business attire, unless you were specifically provided a more casual dress code option. Essentially, you would want to dress in the same way that you would for a job interview at a large company. You need to build a positive and engaged conversation throughout your interview process. When you enter the premises please be polite towards any administrative staff who you encounter before (and even after) your interview, without being overly friendly. Casual remarks have a way of making it to the admissions committee, which is something we want to clearly avoid. Make sure to greet the interviewer at the start of the interview, and to thank them at the end of it. Take copies of your resume with you in case the interviewer needs on and of course keep your cell phone switched off, or at least in airplane mode, during your time there. During the interview, maintain a friendly, engaged tone with your interviewer. Do not respond negatively to any comments or questions. If at any point you feel thrown off by a question, it’s okay to ask for a minute to recompose yourself, think about the question and then communicate your best response. Showcase your genuine enthusiasm for the school and program through insightful and honest answers that best reflect your experiences and personality, rather than by speaking aggressively or too quickly. Maintain eye contact with the interviewer to show confidence and build trust. Use your resume as a reference tool, only if you need to, otherwise you should be well prepared so that you do not feel the need to look at it at all. Be the best version of yourself — authentic and confident. Share stories that have genuinely had an impact on your life, and make a list of these experiences in advance. The admission committee has significant experience conducting interviews and can sense even the tiniest inkling of phoniness. Put forward the best version of your true self! The way that you present yourself is of critical importance. Your interviewer is going to be judging on the entirety of his or her interaction with you, including your background and experiences, your ability to articulate yourself, as well as the way in which you communicate with your body language. Sit upright and at the edge of your seat to convey that you are both engaged and passionate throughout the interaction. The questions from your interviewer will be centered on determining whether you are a good fit for their specific programme. Usually, at the end of the interview, you will be given a chance to share any specific questions that you may have for them. Although this is optional, by asking appropriate, well thought-out questions, you have an opportunity to make a strong impression. 11] Don’t forget your Thank You! Ensure to write a formal Thank You letter/e-mail to your interviewer/s. To demonstrate courtesy and develop a rapport with the interviewer, it is imperative that you send a thank you message within 24 hours of the interview. Most interviewers do expect this. The Thank You note should be written separately to each interviewer, and reiterate the critical components of your conversation. Make sure to reflect your sincere appreciation and reconfirm your passion for and commitment to the program and school. If you do your homework well and come in prepared you can make a great first impression! Good Luck!